One of the important phase in your house construction. Granite will be available in slabs and tiles. Ask Layer to lay big blocks rather than small blocks even in higher floors. Granite nosing will cost more. but look wise it be very good. 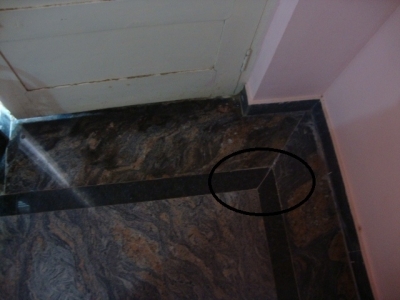 While selecting Granite layer look for the joints in between tiles and slabs; These gaps should be less. Granite border cost will go based on running feet. Price varies based on thickness. 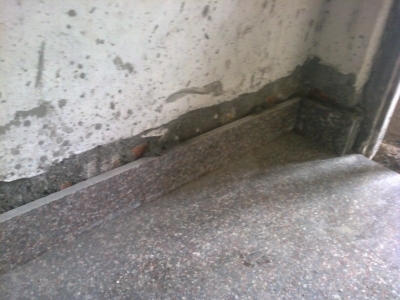 Granite Skirting: When ever mason is applying a cement for skirting ask him to apply cement slantly. so that dust will not get accumulated on skirting. In The below picture there are more chances of accumulating more dust. 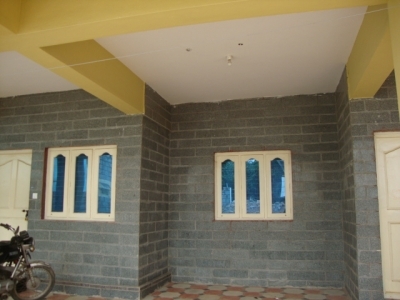 In below design granite tiles were partitioned into 6″ pieces and inbetween granite pieces cement was kept. which gave very good look for front elevation.